There are different types of animals are living in our world. Some of them are carnivores and some of them are herbivores. So in this article, we'll get the information of Top 10 Largest carnivores animals in the world. They hunt other animals for their meal. Some of them are known. But the size of these largest carnivores animals is very large. 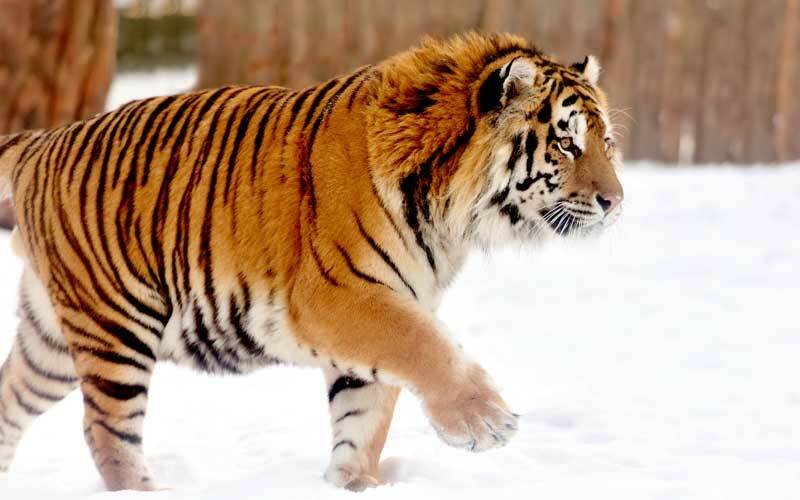 On the number 10, of top 10 largest carnivores animals list, We have Siberian Tiger. Siberian Tiger is the type of Big Cat. The height of the Siberian Tiger is up to 3.3 ft and the length is around 10.75 ft. And the Weight of Siberian Tiger is 1025.2 lb / 465 kg. Siberian Tiger is also known as Amur Tiger. Siberian Tiger has reddish dusty color or yellowish dusty color with narrow black transverse strips. They found in the Eastern Siberia, the Korean Peninsula, Manchuria, Northern China, etc. Diet of the Siberian Tiger is Manchurian wapiti, Sika deer, Siberian musk deer, long-tailed goral, moose, wild boar, etc. 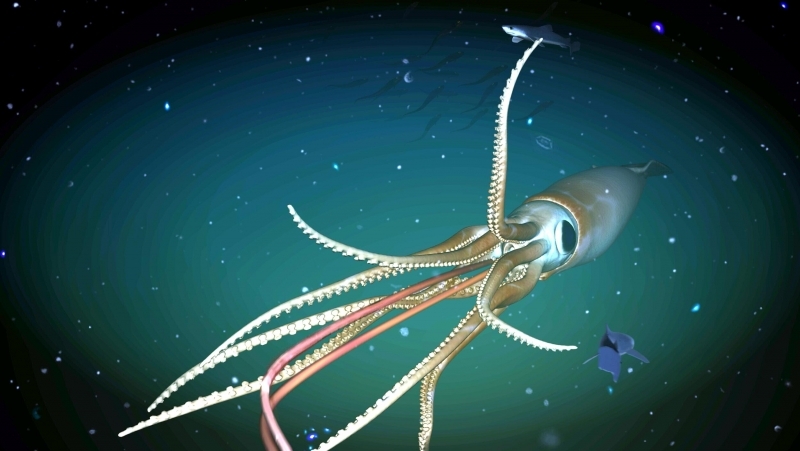 Colossal Squid is the 1st underwater creature in our list. It is the type of Squid. Length of the Colossal Squid is up to 14 m / 45.9 ft. The largest Colossal Squid is found in 2007 of 15 m / 49.2 m. The weight of Colossal Squid is around 1091.3 lb / 495 kg. Colossal Squid is also known for his big eye. They have 16 in / 40 cm. eye, which is the largest eye documented in the animal kingdom. They are found in Antartic Water and Southern waters of New Zealand, They live in the depth of 2.2 km (7200 ft) water. Diet of the Colossal Squid is small and large fish, Patagonian Toothfish, elephant seal, large southern ocean predators, and other Squids. Giant Freshwater Stingray is also known by Junior Synonym. Giant Freshwater Stingray is the type of Stingray. The total length of Giant Freshwater Stingray is 5 m / 15 ft. And the weight of the Giant Freshwater Stingray is 1320 lb / 600 kg. 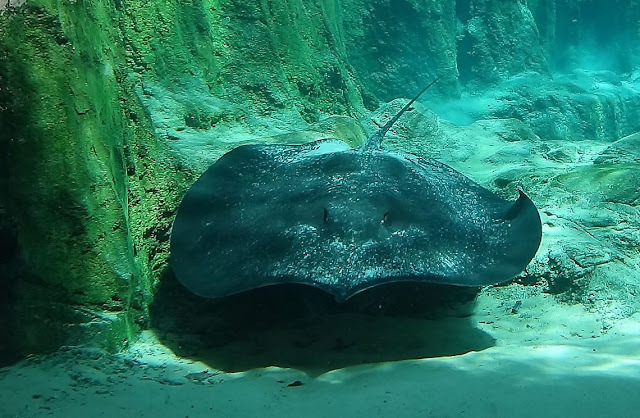 Giant Freshwater Stingray has a thin disk size body which is longer than wide broadest towards the front side. Giant Freshwater Stingray has white in color with coloration grey to brown around the edges. Giant Freshwater Stingrays are found in large rivers, preaching Buri river, estuaries in Indochina, Borneo and southeast Asea. Diet of Giant Freshwater Stingray is Small fish, mollusks, crustaceans. Polar Bears are the type of marine mammals. They are hypercarnivores animal. The height of the Polar Bear is up to 3 m / 9.8 ft. And length is 2 m / 6.5 ft. The weight of the Polar Bear is 2209 lb / 1002 kg. Polar Bears are the white colored animal. Polar Bear is the only marine mammals with powerful, large limbs and feet that allow them to cover kilometers on foot and run on land. 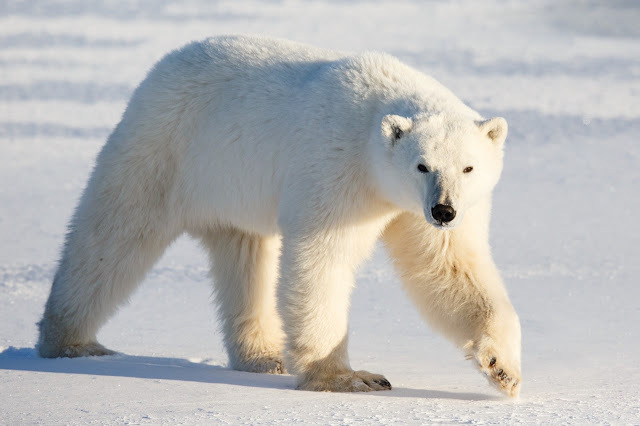 Polar Bear live near the arctic circle like Canada, Russia, Alaska, Greenland, and Norway. Diet of the Polar Bear is ringed, bearded seals, harp and hooded seals, walruses, narwhals, bowhead whales, etc. Pacific Walrus is the type of large flippered marine mammals. Pacific Walrus length is 3.6 m / 11.8 ft. And the weight of the Pacific Walrus is around 4151.3 lb / 1883 kg. Pacific Walrus color is dark brown. And the teeth length of the Pacific Walrus is nearly 14 in / 36 cm. They are famous for their big two teeth. 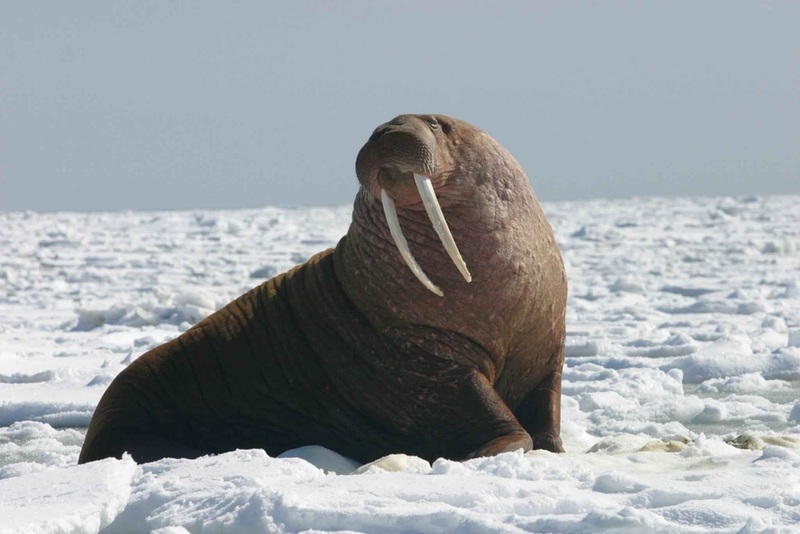 Pacific Walrus is live near the north pole of the arctic ocean and in the Atlantic ocean. Diet of the Pacific Walrus is shrimp, crabs, tube worms, soft corals, tunicates, sea cucumbers, mollusks, parts of pinnipeds, etc. Saltwater Crocodile is a type of crocodile. 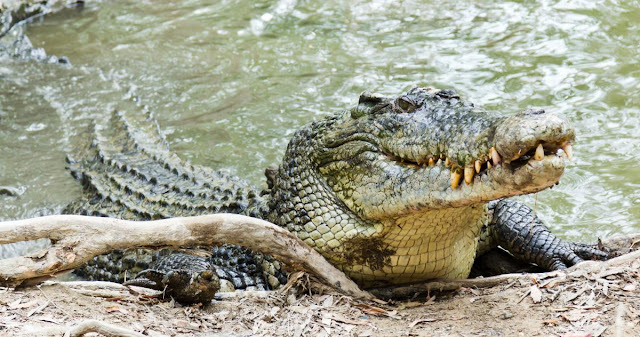 Saltwater Crocodile is also known for estuarine Crocodile and Indo-Pacific Crocodile. The total length of Saltwater Crocodile is 7 m / 23 ft. And the weight of the Saltwater Crocodile is around 4409.2 lb / 2000 kg. Saltwater Crocodile has a pale yellow color with black strips. And they have 60 to 72 teeth in their mouth. Saltwater Crocodile lives in eastern India, Southeast Asia and in Northern Australia. Diet of the Saltwater Crocodile is birds and mammals that venture near the water's edge and fish. 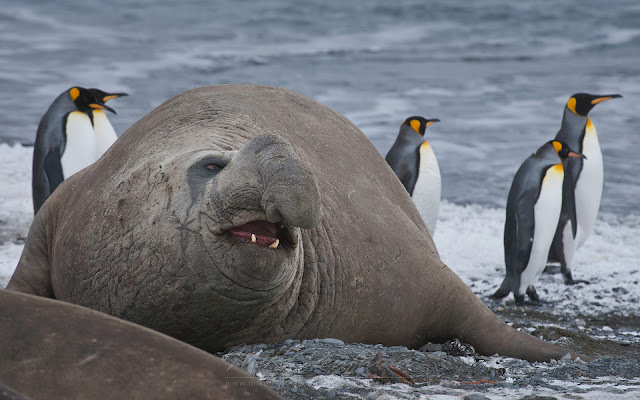 Southern Elephant Seal is the type of Seals. Southern Elephant Seal is also called as Mirounga Leonina. Southern Elephant Seal gets their name from their large size. Southern Elephant Seal total length is 3.7 m / 12.1 ft. And the weight of the Southern Elephant Seal is around 11000 lb / 9979 kg. Southern Elephant Seal can stay on land for the longest periods of time. They can stay dry for a few weeks. There speed is up to 5 (m/h) / 8 (km/h). Colour of the Southern Elephant Seal is light brown. Southern Elephant Seal found in Antartic water. Diet of the Southern Elephant Seal is fish and Squids. Orca Whale is also known as the Killer whale because of its behavior. Orca Whale is the most fasted Dolphin on Earth. The total length of the Orca Whale is nearly 9.7 m / 32 ft. And the Weight of the Orca Whale is nearly 22000 lb / 9979 kg. Orca Whale is black colored with white big spots. The diet of the Orca Whale (Killer Whale) is mostly octopus, sharks, sea turtles, seabirds, rays, squid and other fish. And they also eat marine mammals such as seals and dugongs. 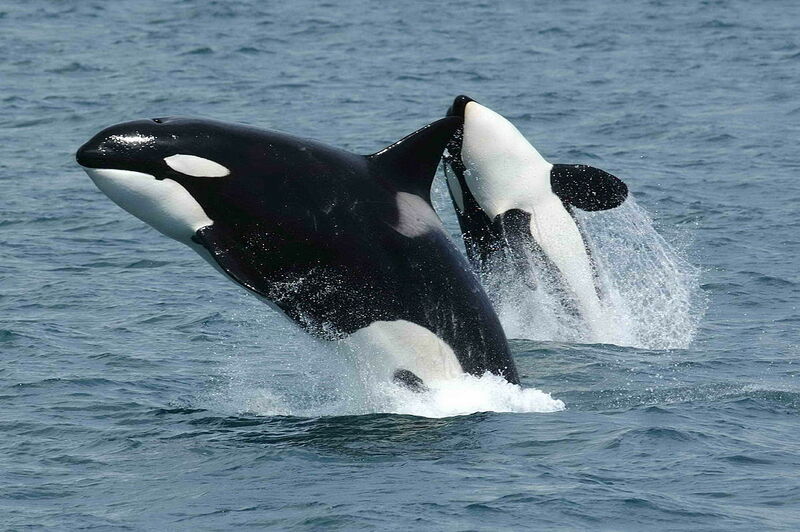 Orca Whales (Killer Whale) are found in every ocean in a variety of marine environment expects black sea, Baltic sea. and some areas of the Arctic ocean. Whale shark comes on the second number in largest carnivores animals list. Whale Shark is the type of Shark. They Are live in Salt Water. Length of Whale Shark is around 10 m / 32.8 ft. And the total weight of Whale Shark is nearly 47000 lb / 21318 kg. Colour of the Whale Shark is blue or brawn. And they have creamy white spots between pale and vertical and horizontal strips. 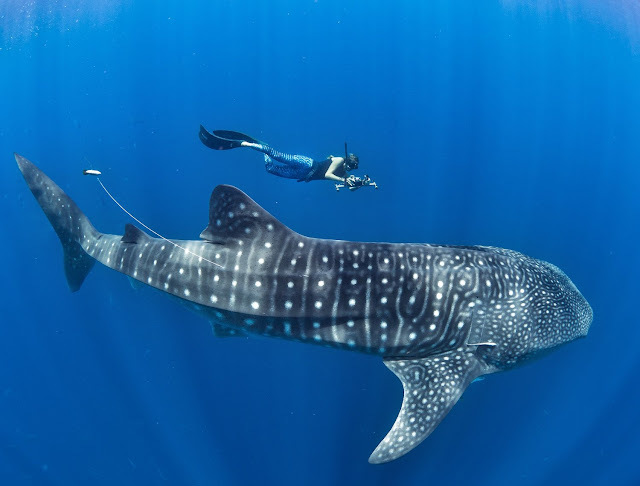 Whale Shark found in Cancun and Cozumel, India, Mexico, Gladden Spit, Belize, Holbox, Isla Contoy, Maldives, Australia, Ecuador, etc. The diet of the Whale Shark is Plankton, copepods, krill, fish eggs, small squid, small fish, etc. They sometimes allow swimmers to get a ride. And they can live up to 70 years. Blue Whale is the Largest Carnivores in the world. A blue whale is the biggest animal in the world. They are marine mammals. And as well as Blue Whale is the biggest animal in the world. 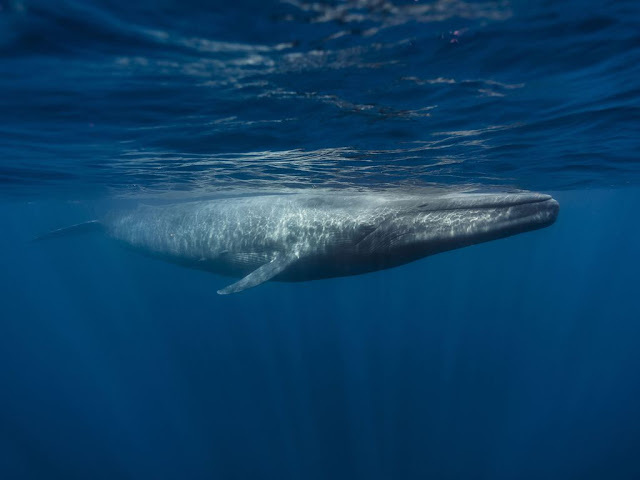 Length of the Blue Whale is nearly 25 m / 82 ft. The weight of the Blue Whale is around 418877 lb / 189999.4 kg. And almost it the biggest whale of all time. They have long body colored with bluish grey. Blue Whale is found in Saguenay, Azores, Baja California Sur, Mexico, Pico Island, Mirissa, Shri Lanka, Iceland, etc. Diet of Blue Whale is krill, copepods. They eat them in a very large quantity. Blue Whale wants 2200 lb / 997.9 kg to fill the stomach. So this is information about the Top 10 Largest carnivores animals in the World. I hope my article helpful for you, please don't forget to shear and comment your thought about the Top 10 Largest carnivores Animal in the World. Thank you!